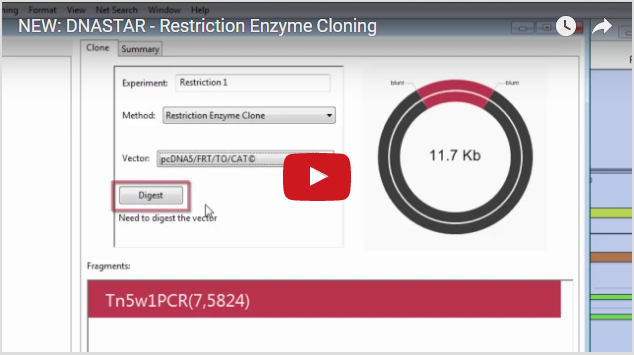 Check out this week’s featured video to see how to create a restriction enzyme clone in Lasergene, all in about a minute! Want to see more videos like this? Check out our full list of Lasergene Quick Tips.